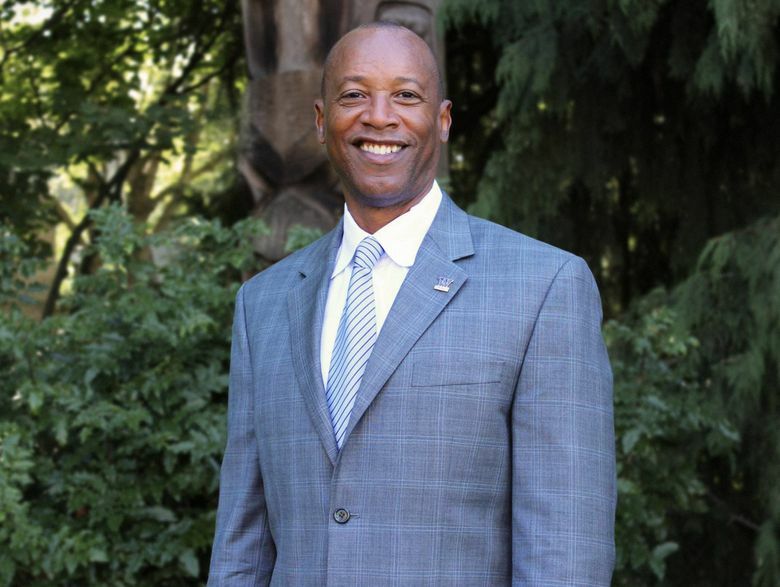 James Dorsey is the new president of College Success Foundation, one of the state's largest foundations that helps low-income students go to college. The new leader of an 18-year-old foundation that helps low-income students go to college says higher education should have a bigger presence in Washington’s classrooms. Earlier this summer, James Dorsey started as the new president and CEO of the College Success Foundation (CSF). The public-private partnership employs advisers to work in public middle and high schools with a mission of creating a college-going mindset, providing scholarship dollars and assisting students during the transition to higher education. Those advisers are the “secret sauce” of CSF’s success, Dorsey said. Dorsey is doing an extensive listening tour, and still getting his arms around the job. But one difference between Washington and California, where he previously worked, is that California higher ed institutions really made their presence felt in schools. “I think we could do a better job as a state in terms of early access and awareness,” he said. Dorsey was most recently executive director of MESA and president of MESA USA, a foundation that promotes math, engineering and science. While there, Dorsey helped bring hands-on learning into the classroom to get kids excited about math, science and technology. He hopes to do some of that work with CSF as well. Seattle has a highly skilled workforce, and “there’s no reason why Washington children shouldn’t be the recipient of the majority of those high-wage jobs,” he said. A number of studies have shown that, despite Seattle’s tech hub status, the state overall has a low college-going rate; one recently updated study by the Washington Roundtable, a nonprofit policy center made up of business groups, projects that only about 40 percent of the high-school graduating class of 2015 will earn a postsecondary credential (a college degree or other type of credential) by age 26. That number is an improvement, however, from an earlier study by the Roundtable, which found that about 31 percent of the class of 2006 had earned a credential by 26. CSF started in 2000 with a 10-year, $100 million award from the Bill & Melinda Gates Foundation, and the money primarily went to scholarships, said Mary Theisen, the director of marketing and strategic communications for CSF. (Note: The Gates Foundation funds Education Lab through a grant.) Over time, the foundation has changed its model to provide an integrated system of support to help low-income students navigate the college-going system. It receives money from national and regional businesses and foundations, and hundreds of individual donors. And it partners with the state on a number of levels, including helping students sign up for a state financial aid program called College Bound. Last year, the foundation helped more than 8,000 students in Washington state, and 1,400 in Washington, D.C., get to college. The foundation doesn’t pick students based on GPA or academic record — it helps all students in the underserved areas where it operates. In this state, its districts include Seattle, Auburn, Highline, Kent, Tacoma, Bremerton, Port Angeles, Yakima and Spokane. When CSF started, about a third of Washington K-12 students were low-income. Today, about half of all students in this state fall into that category. If the foundation is successful, Dorsey said, its help won’t be needed anymore. “I’d like to see us put CSF out of business,” he said.